Heritage Foods eyes 6,000 cr biz . City-based Heritage Foods Limited which is majorly into dairy business with operations across 10 states is targeting Rs 6,000 crore ($1 billion) in turnover by the year 2020, nearly a three-fold jump in five years from the total business of Rs 2,073 crore now. Hyderabad: City-based Heritage Foods Limited which is majorly into dairy business with operations across 10 states is targeting Rs 6,000 crore ($1 billion) in turnover by the year 2020, nearly a three-fold jump in five years from the total business of Rs 2,073 crore now. “We have clearly set our target for 2020 to become a Rs 6,000 crore (USD 1 billion) company. While our operational mechanism is gearing up to achieve this goal, our strategies are aimed at increasing the sales of value-added products in our dairy business,” D Seetharamaiah, Chairperson, Heritage Foods Limited, said. Founded by Nara Chandrababu Naidu, the current Chief Minister of Andhra Pradesh, in 1992, Heritage has grown over the years, crossing Rs 2,000 crore turnover milestone last fiscal. His wife Nara Bhuvaneswari, who is the Vice-Chairperson and Managing Director of the company, owns 22.98 per cent stake, while his son Nara Lokesh has 10.20 per cent stake in the company. Nara Brahmani, Lokesh’s wife, is the Executive Director. She owns 0.44 per cent stake. As a part of its efforts to reach $1 billion mark by 2020, the dairy major appointed an external consultant to guide it on all aspects of the business, including rationalisation of business operations, opportunity mapping, business restructuring, according to the company’s Annual Report for 2014-15. 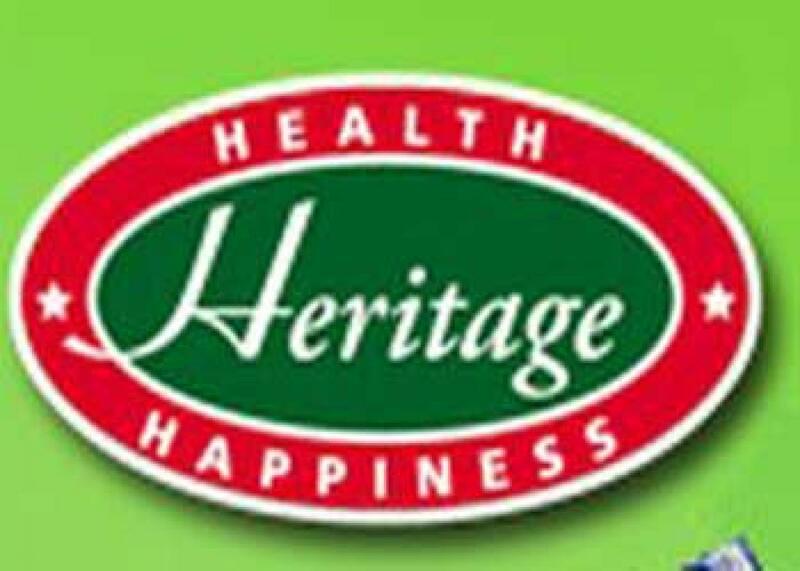 Though started as a dairy firm, Heritage has, over the years, diversified into other segments including retail, bakery and agri-business segments. At present, the company has operations across 10 states including Rajasthan, Haryana, Kerala, Odisha, Tamil Nadu, Karnataka and Maharashtra, in addition to Andhra Pradesh and Telangana. It entered into Delhi market last fiscal. During 2014-15, the dairy business accounted for Rs 1,555.9 crore, the highest among all the divisions. It procured 9.69 lakh litres per day (LLPD) milk with AP contributing 51 per cent followed by Maharashtra (18.5 per cent). Telangana accounted for just 10 per cent of the total milk procured by the company. “Currently, we procure milk from over 3 lakh farmers in southern and western India. Procurement of more milk gives us strength to grow,” the Chairperson said. Heritage is into value-added dairy products (VADP) space with 22 products which include paneer, curd, ice cream and flavoured milk. The retail segment through which it operates 92 Heritage Fresh multi-brand retail stores generated Rs 494 crore in revenues for the company, registering a year-on-year growth of 30.70 per cent. The agri-business which involves procurement of fresh fruits and vegetables from farmers has contributed Rs 84 crore to the top line. The company procured 1 lakh tonnes of fruits and vegetables in FY-15. “We expect FY16 to be an encouraging year with continued growth and improvement in margins. Going forward, we will increase the Heritage reach and simultaneously expand the range of value-added products,” said N Bhuvaneswari.